Dr. Alberto Lazzerini is the Director of the Hand Surgery Unit in Humanitas Research Hospital. His educational back ground, developed in several centers in Italy and abroad, is ranging from orthopedic to hand and microsurgery. He founded the hand surgery unit in the Humanitas Research Hospital more than 10 years ago. The Unit is a certified hand center of the Italian Hand Surgery Society. 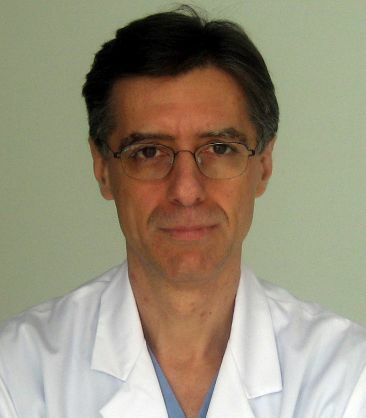 Dr. Lazzerini is an active member of several scientific societies: SICM (Italian Society for Surgery' of the Hand); BSSH (British Society for Surgery of the Hand); IBRA (International Bone Research Association). He has been for years a member of the faculty of the Windsor upper limb anatomical dissection course at the King's College, London. Is currently coordinator of the upper limb anatomical dissection course of the Italian Hand Surgery Society Dr Lazzerini has developed with dr Alexander Kirienko the project LAKI, an innovative fixation device for small bones fractures that melts the ease of use of traditional external fixators and the versatility of the Ilizarov fixation system. Areas of clinical interest include hand and wrist fractures, complex trauma and replantation, degenerative and inflammatory joint diseases, carpal instability, tendons inflammatory diseases and lesions, nerves injuries and compression, vascular malformations, congenital deformities. The unit of Dr, Lazzerini, performs about 2000 surgical procedures yearly. Traditional and advanced surgical techniques such as microsurgery and arthroscopy are currently employed. The unit is a center of the regional and national hand trauma emergency network.